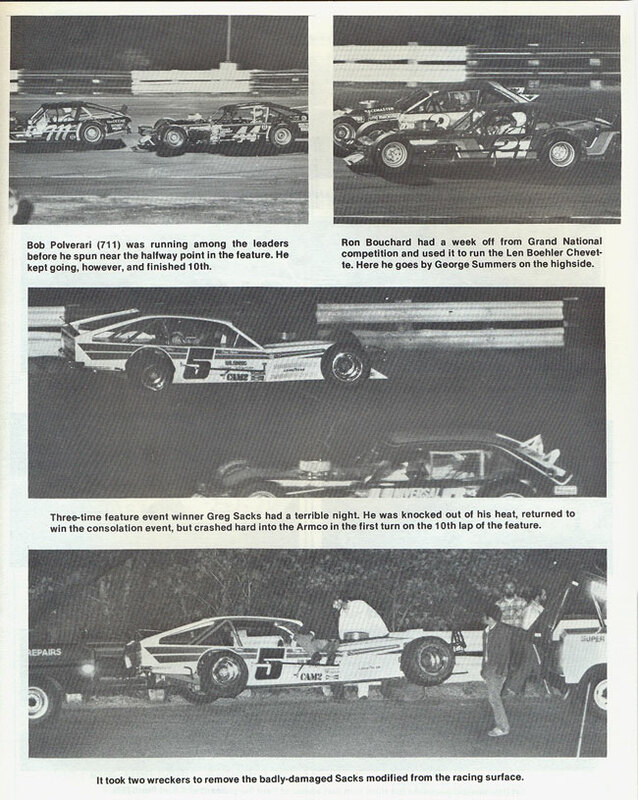 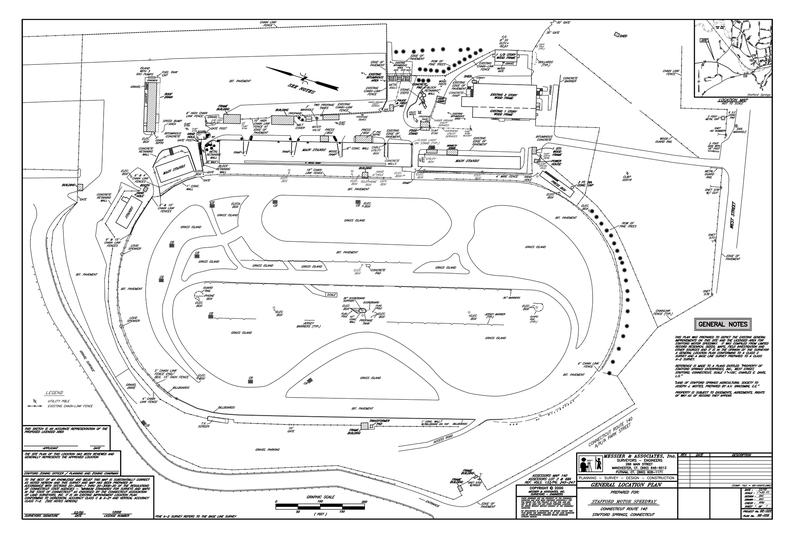 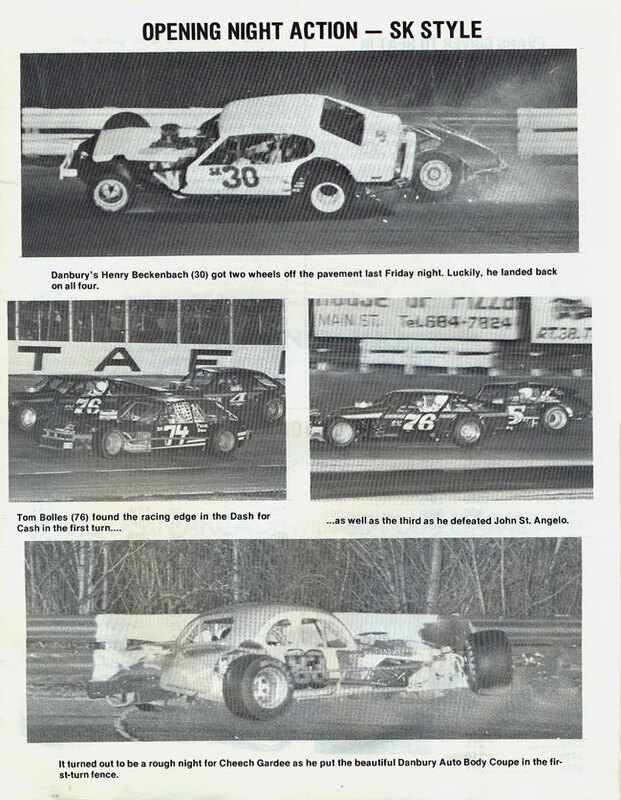 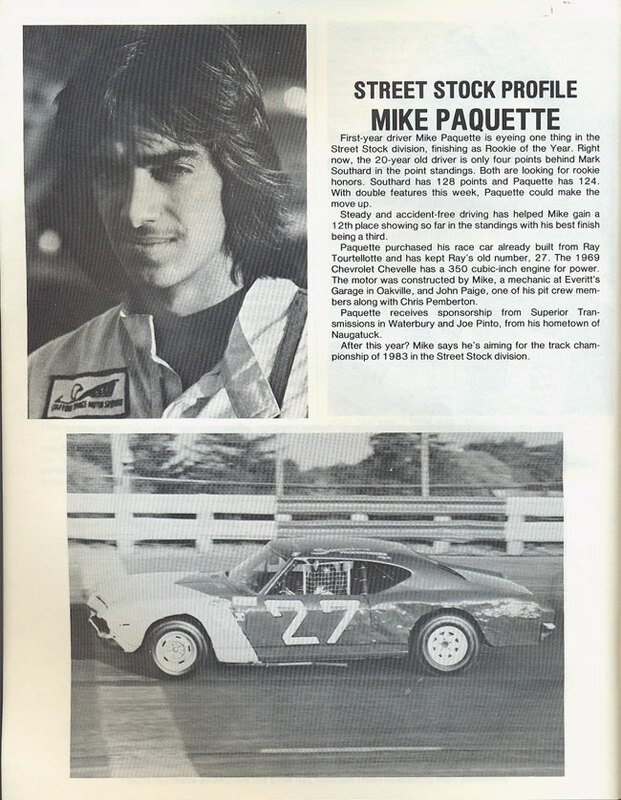 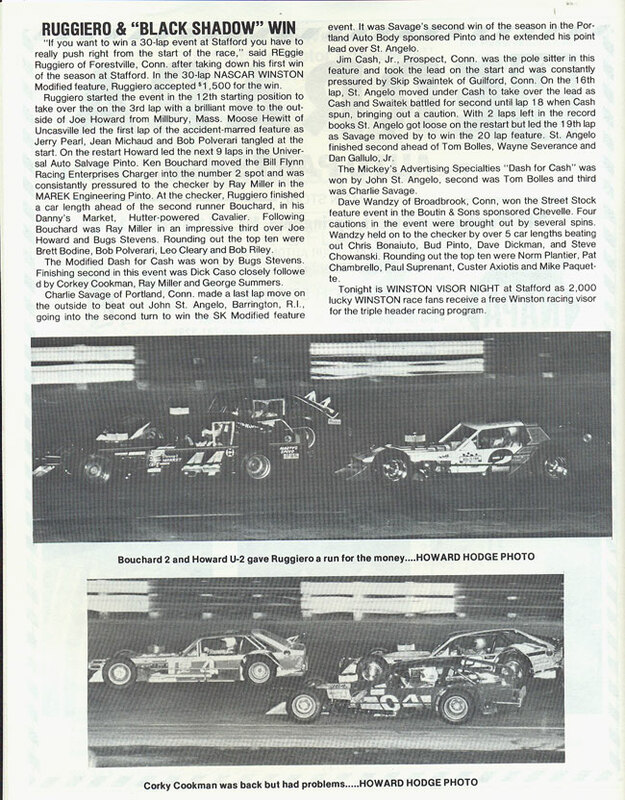 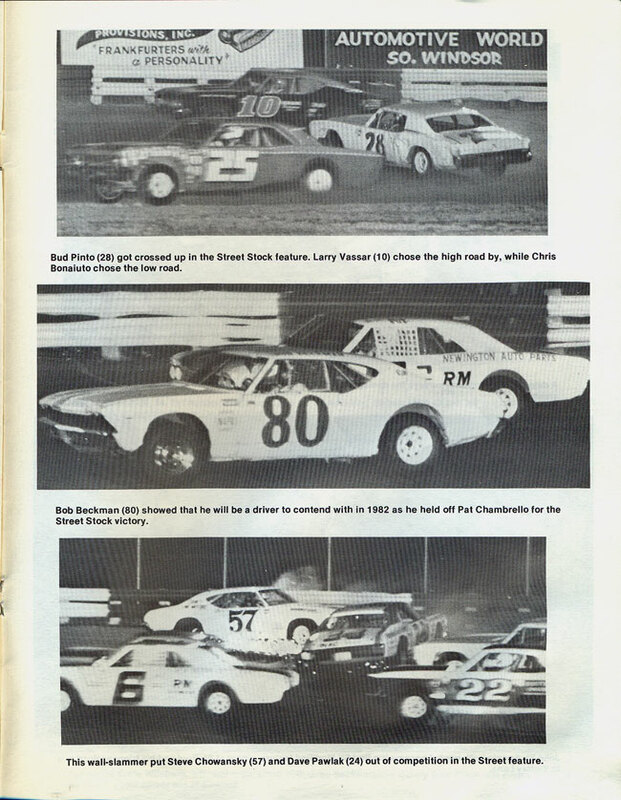 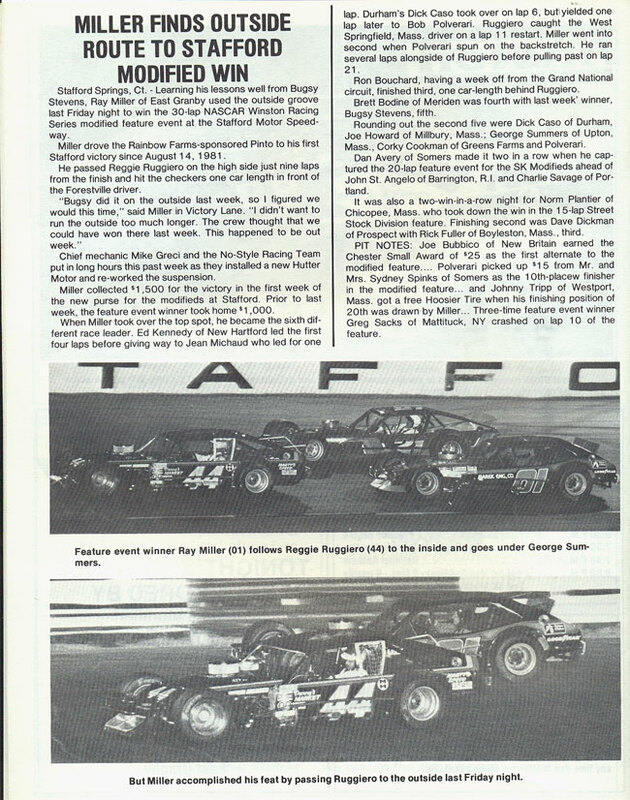 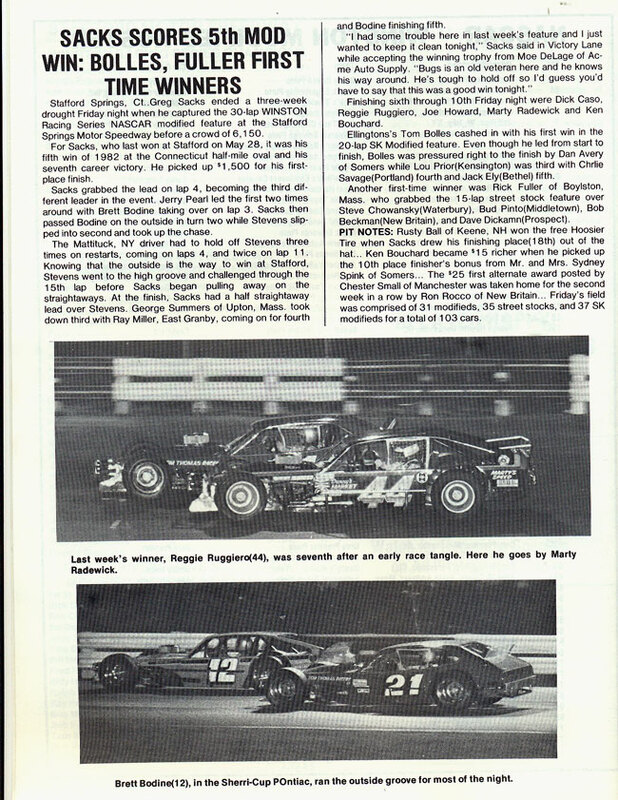 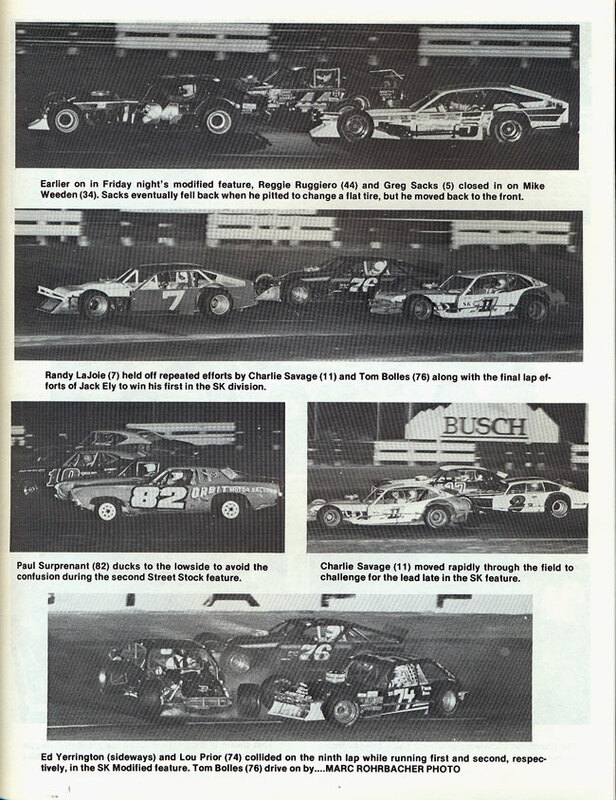 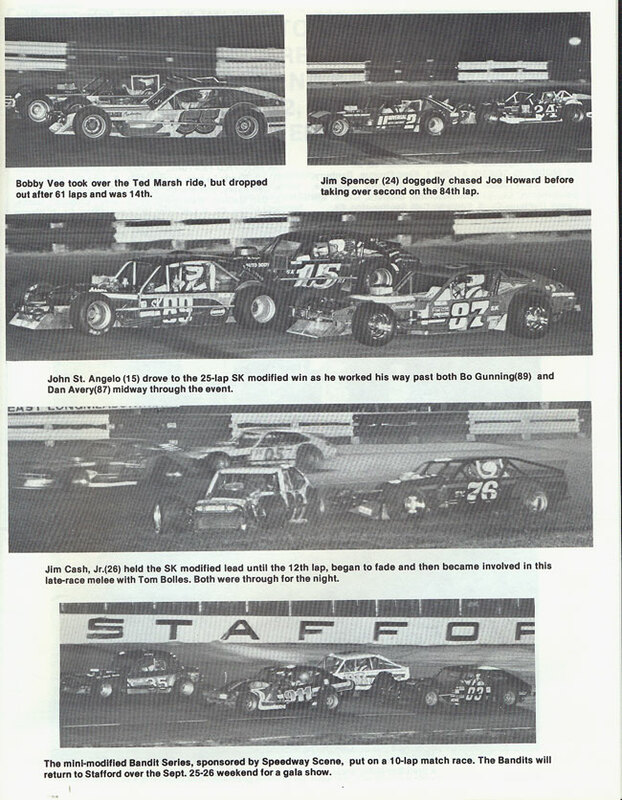 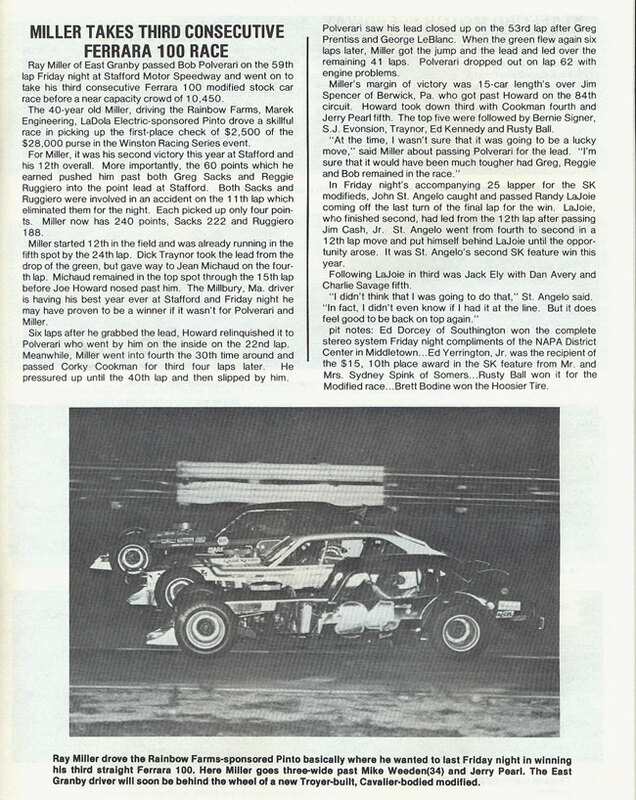 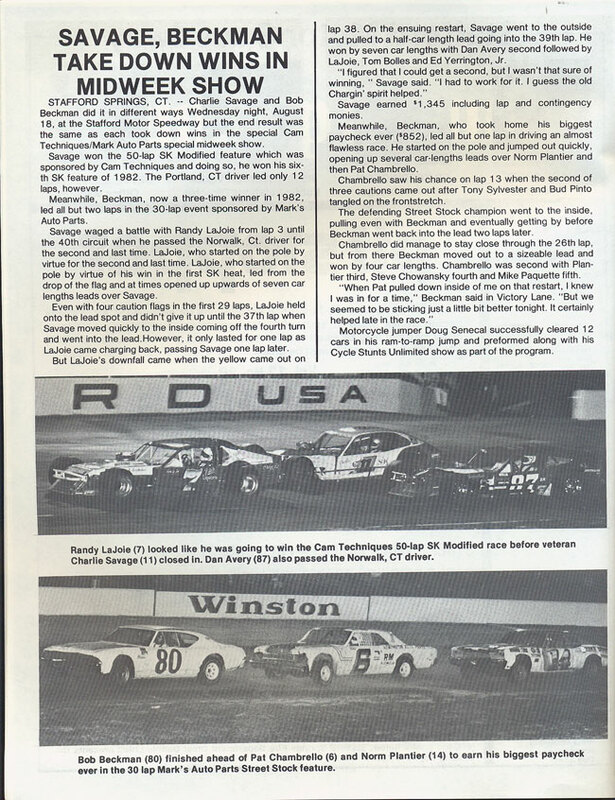 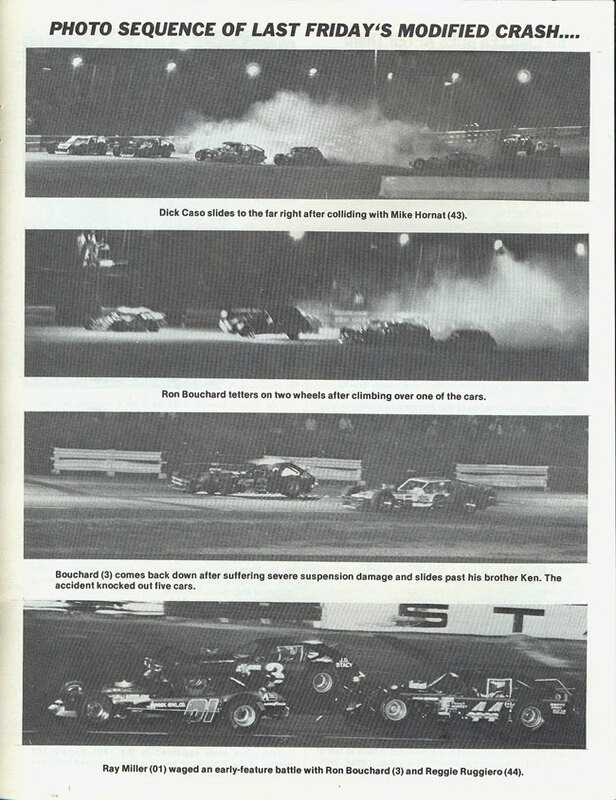 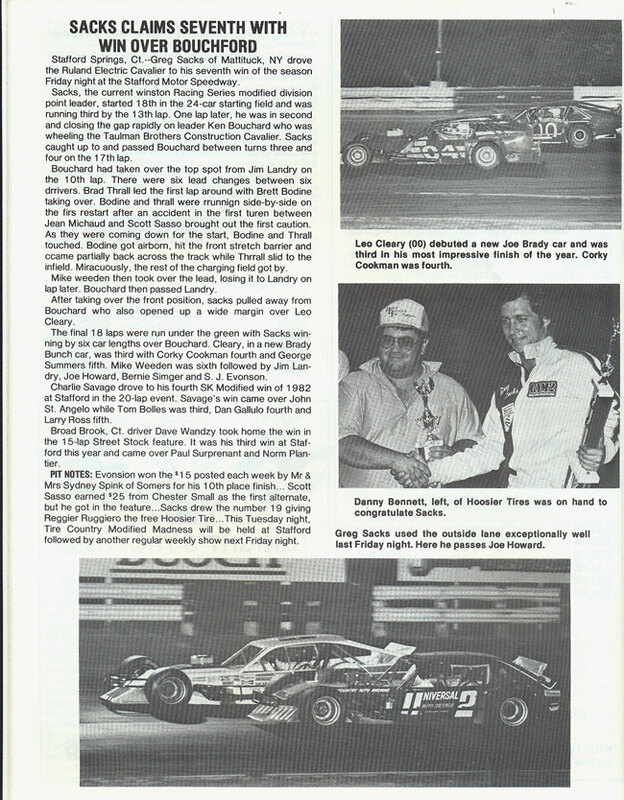 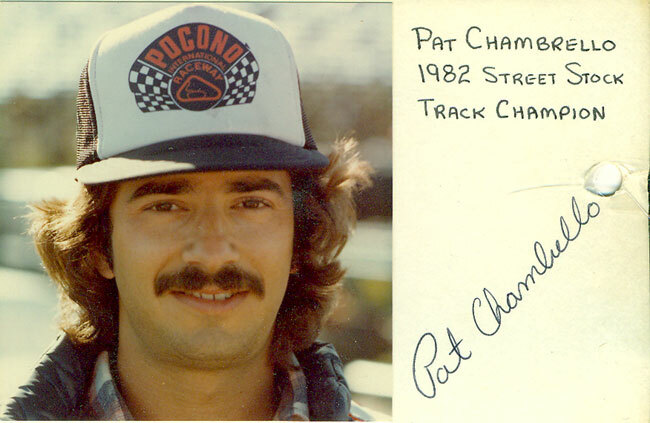 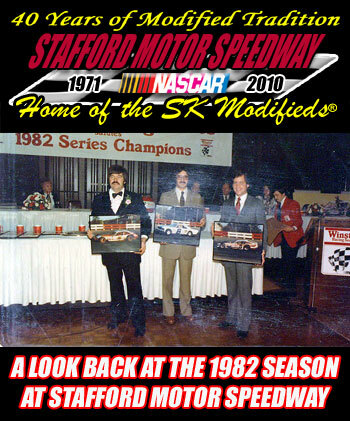 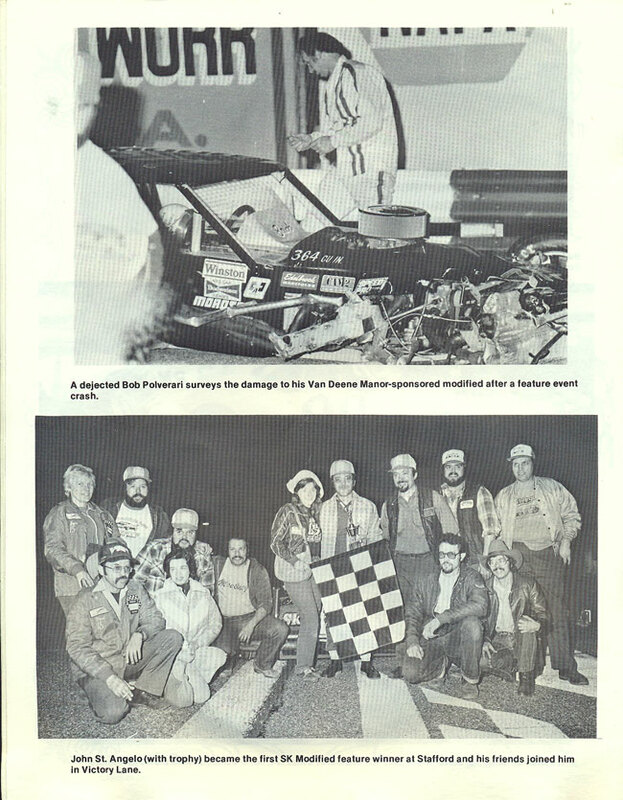 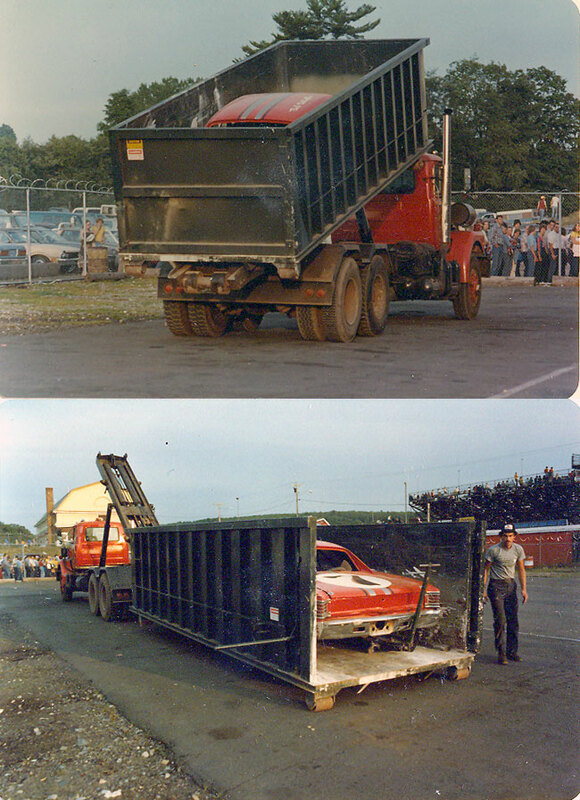 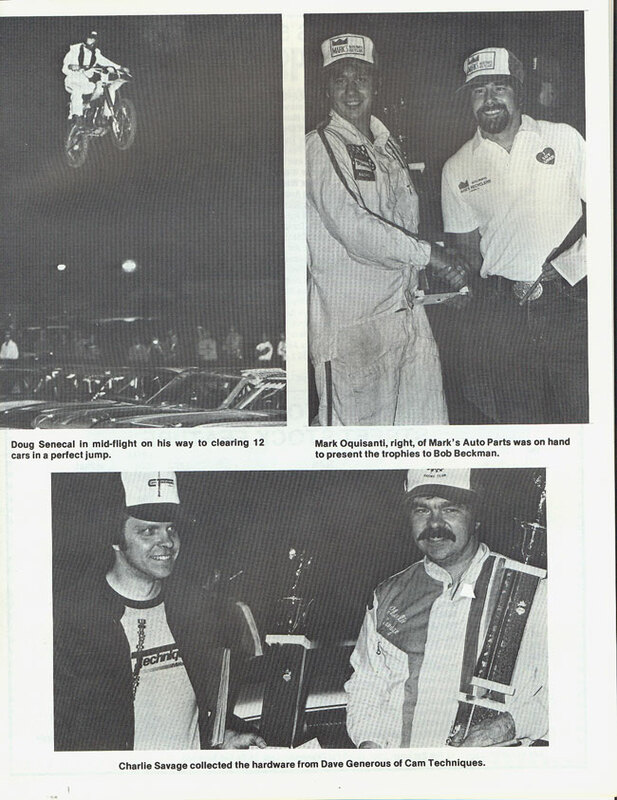 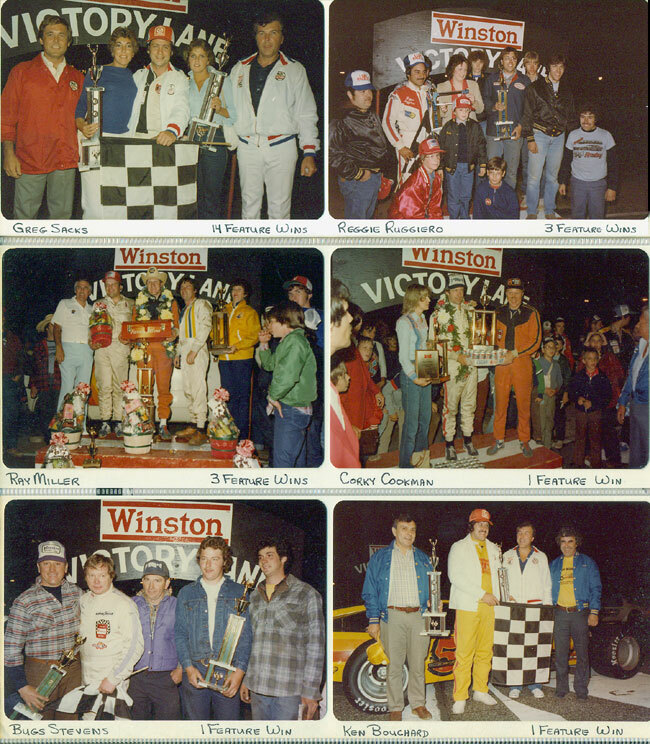 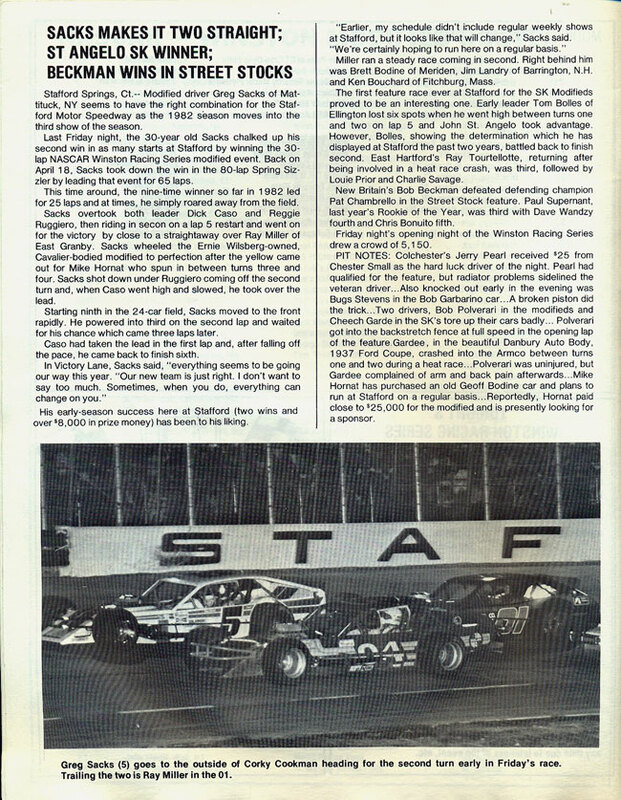 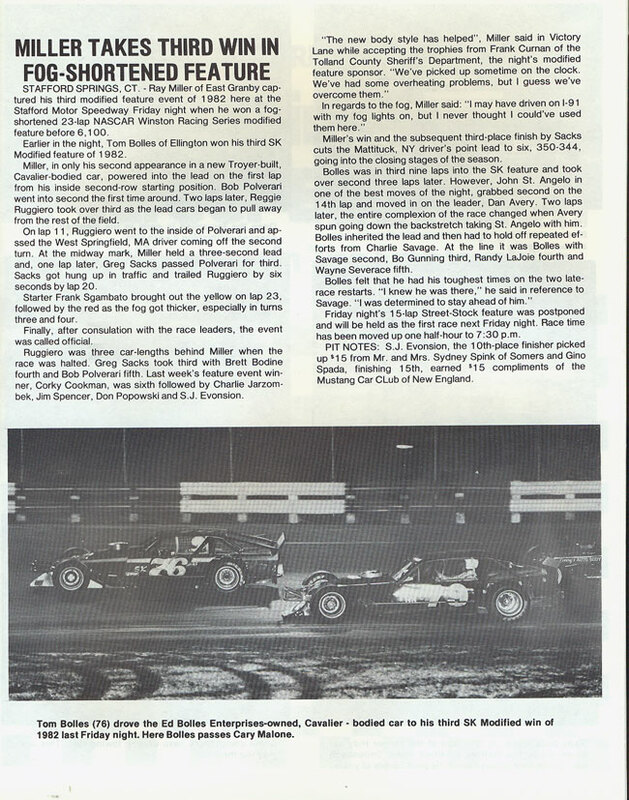 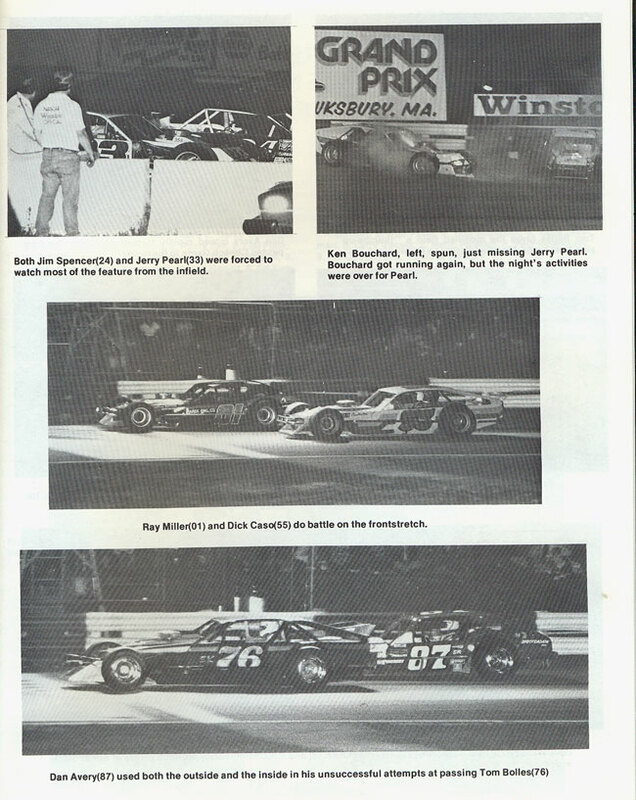 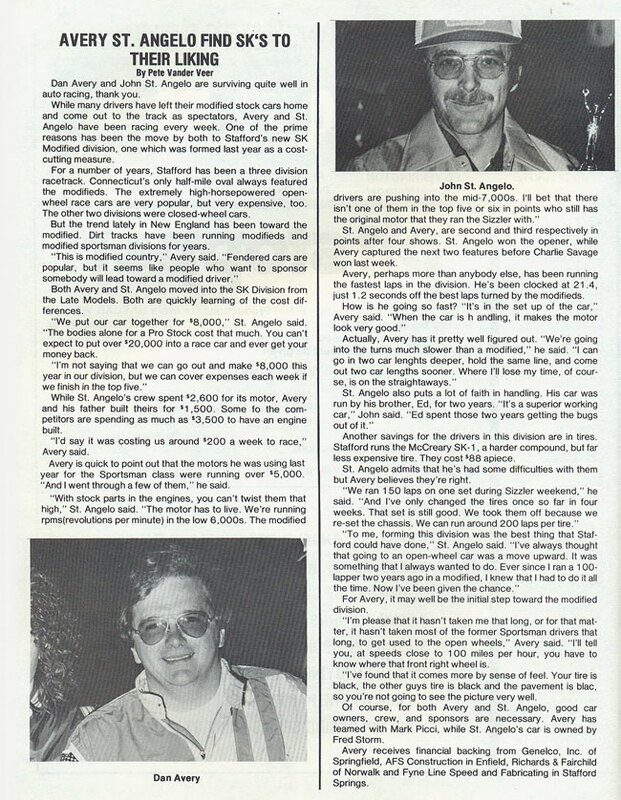 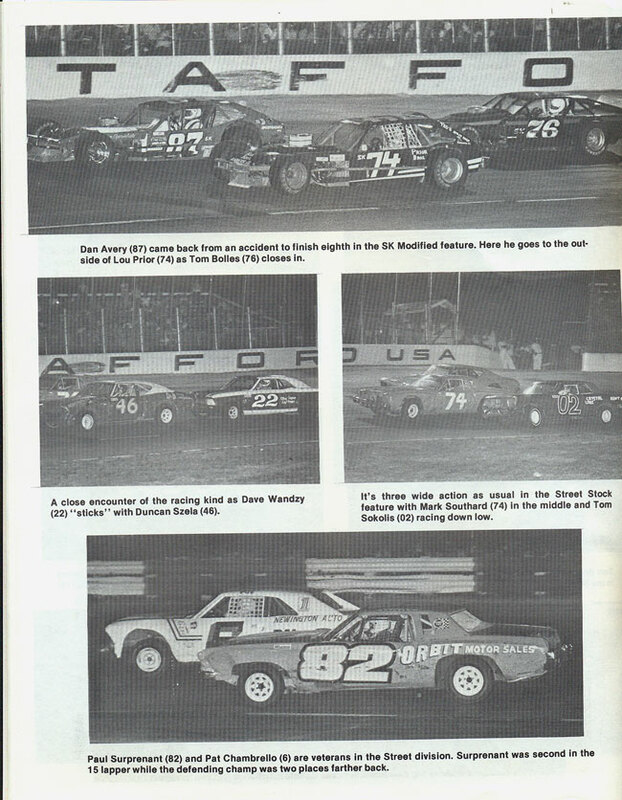 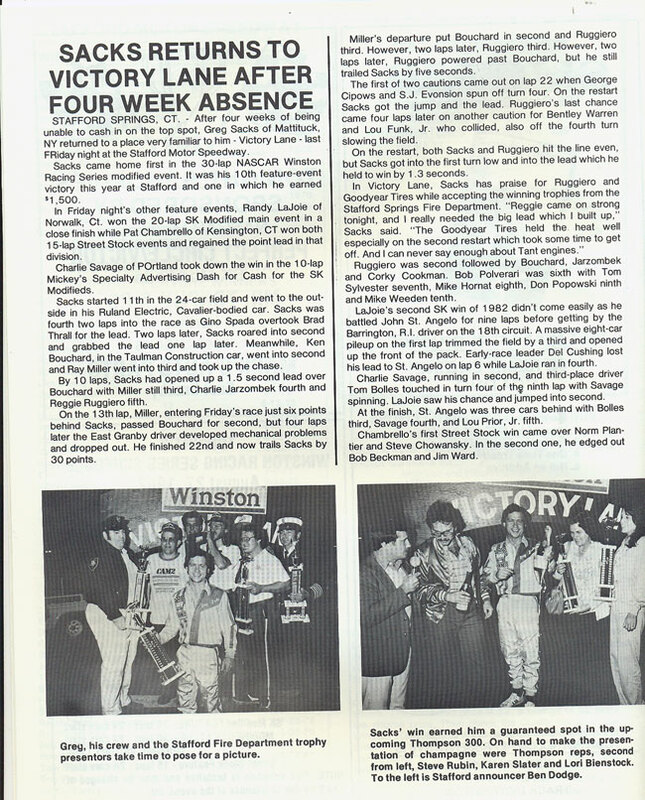 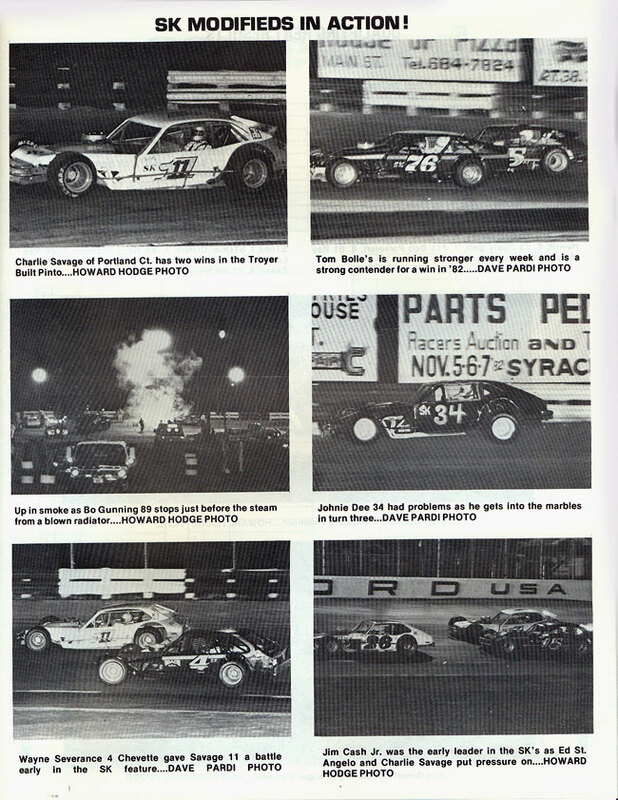 1982 was a year of radical change for racing at Stafford and in the Northeast. 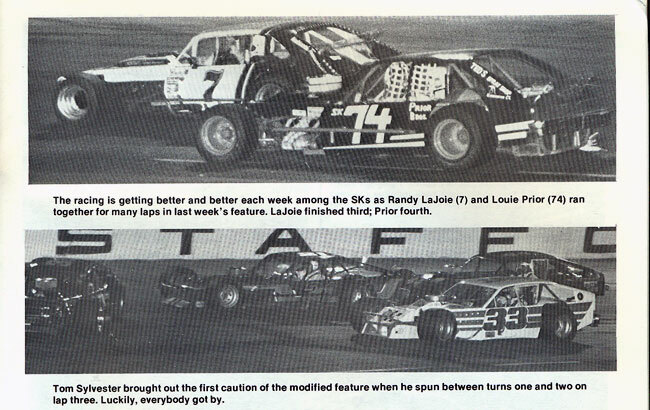 Modified costs had been spiraling out of control for years now and Jack Arute Sr. had realized this. 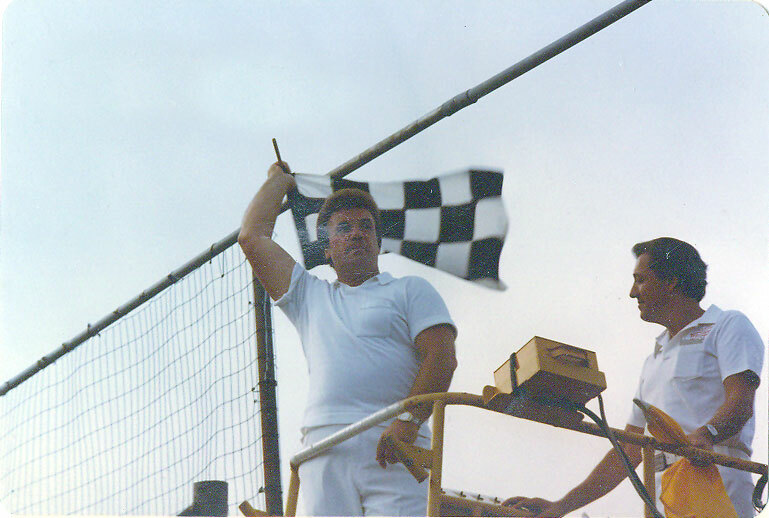 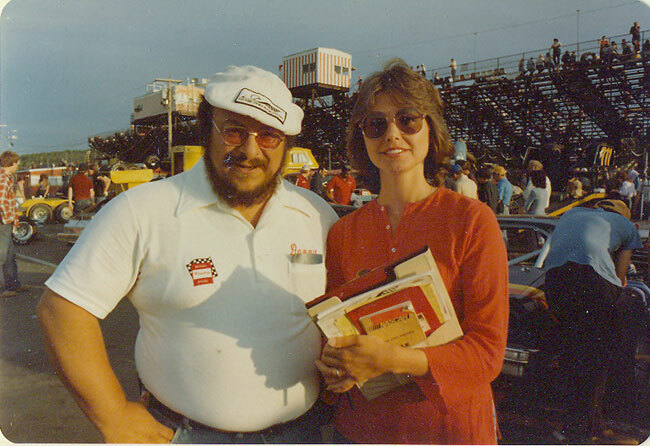 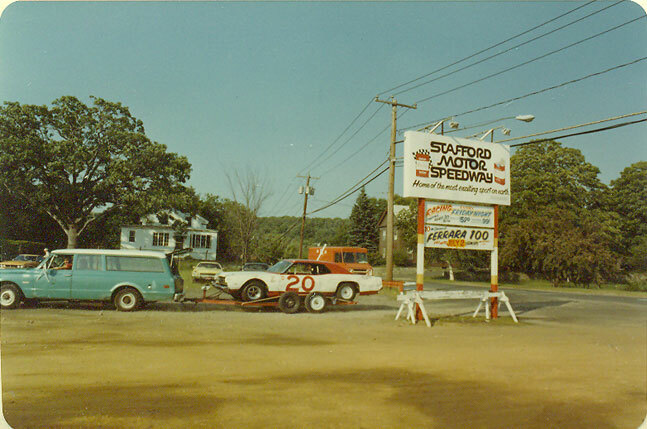 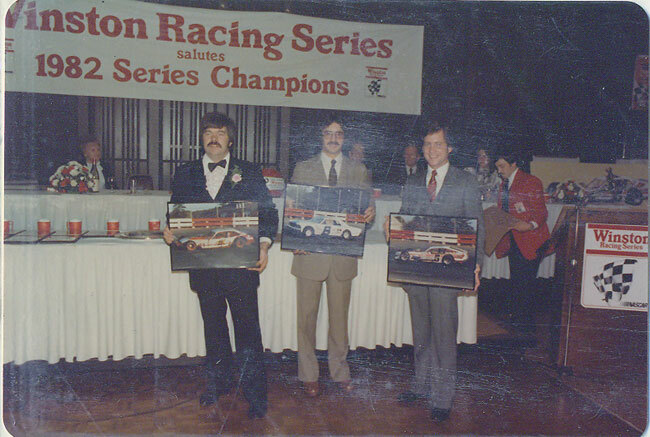 He knew that if the modified tradition was to continue at Stafford and throughout the Northeast a new less expensive modified division had to be created. 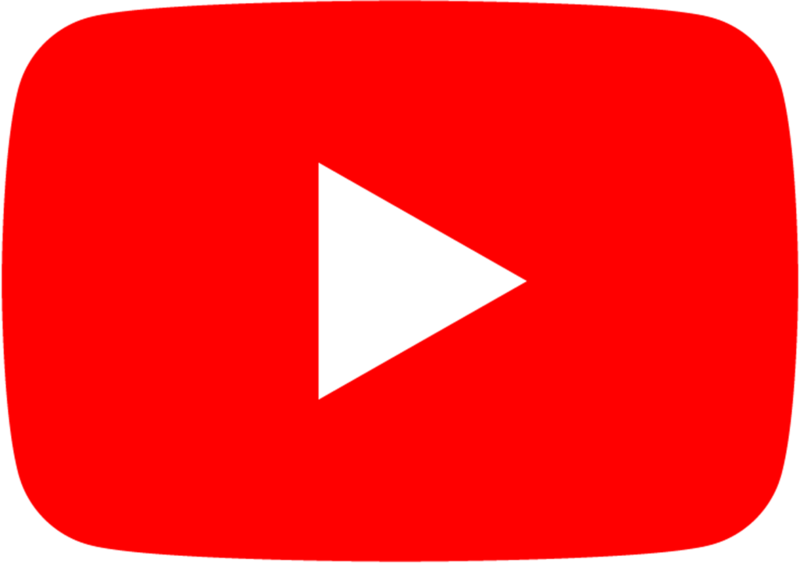 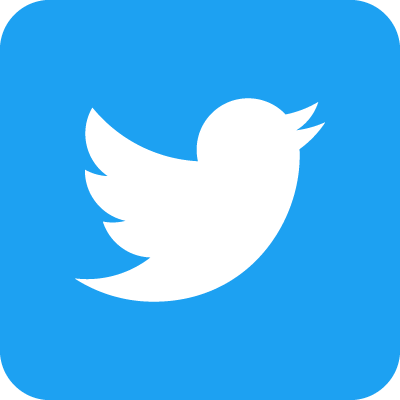 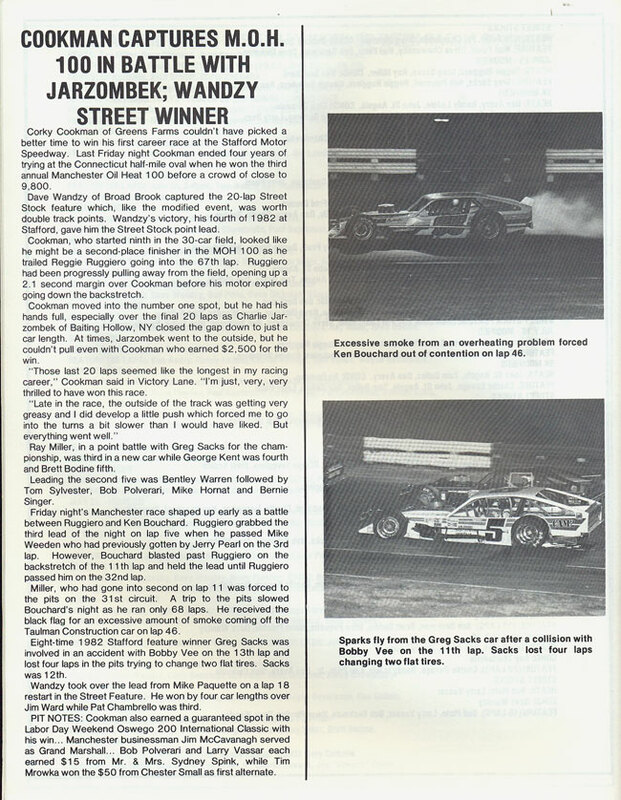 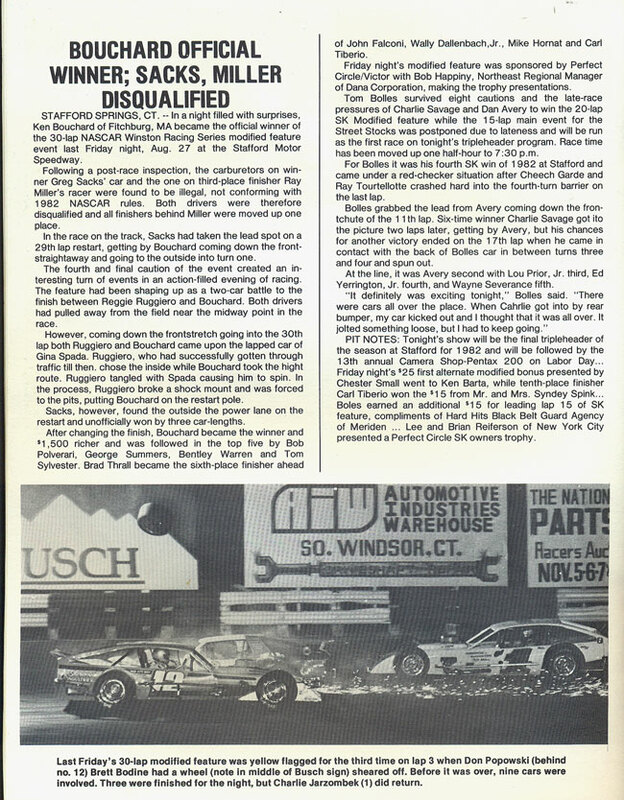 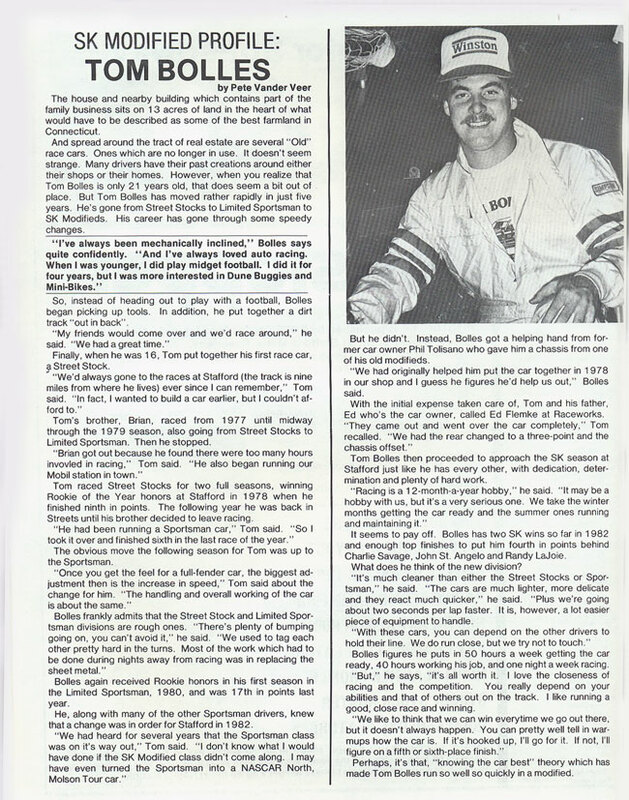 Arute had come up with this idea in the late 70’s but was not ready to introduce it because he had already tried to lower costs by instituting a tire rule that backfired creating a boycott like anger toward the Speedway. 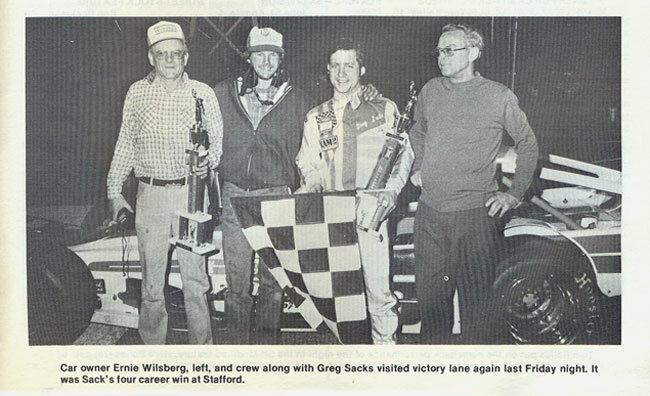 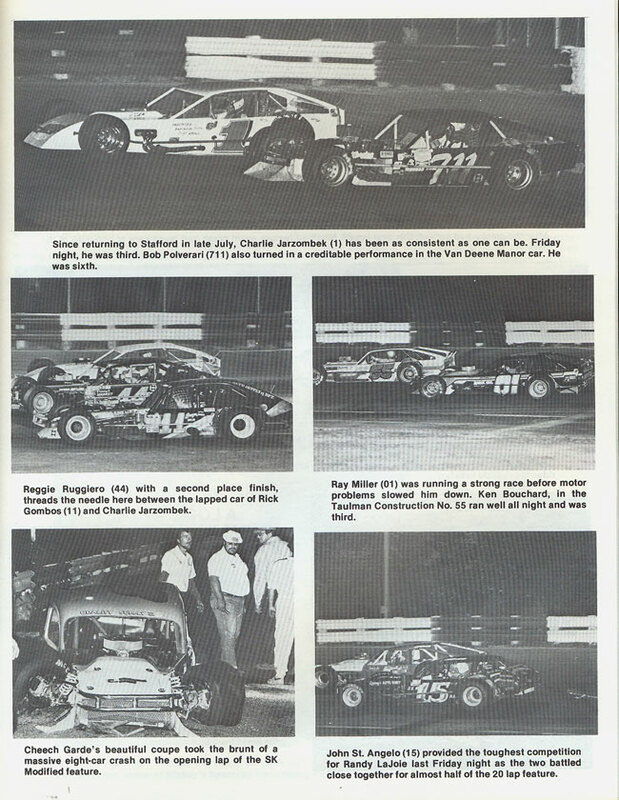 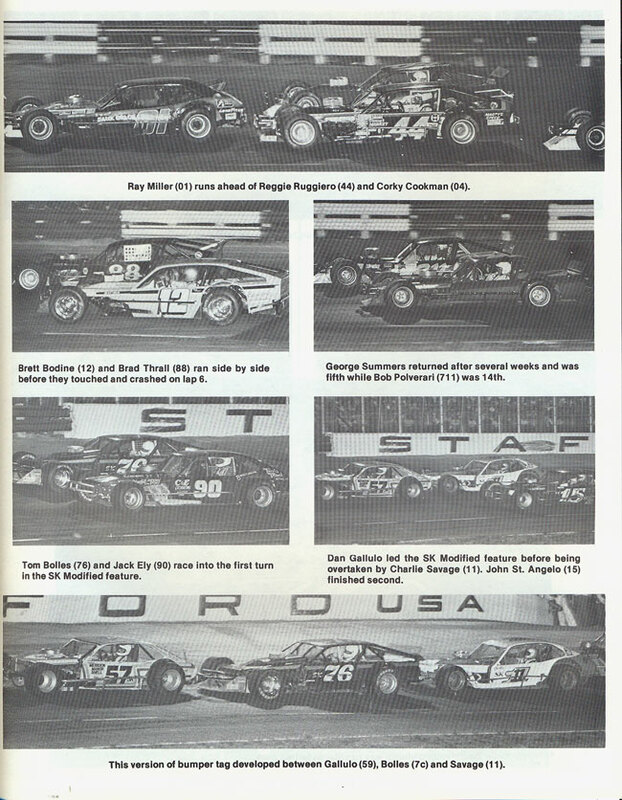 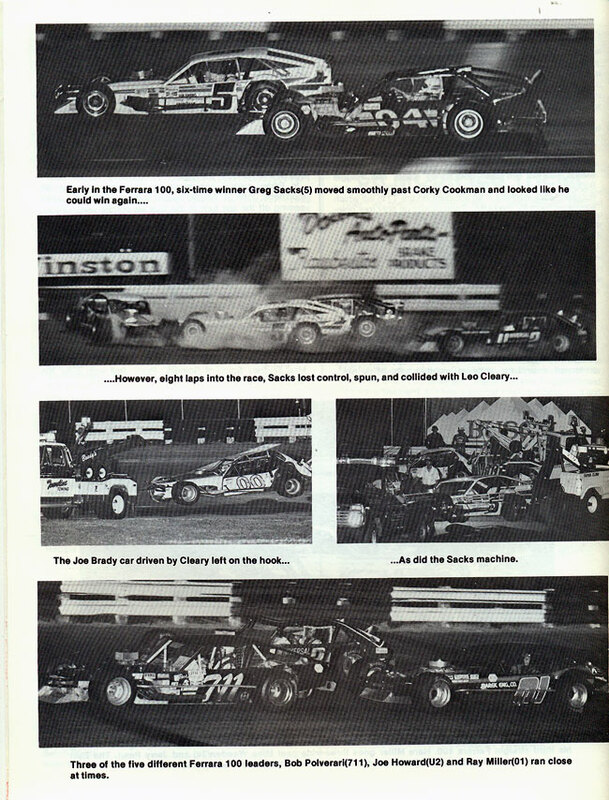 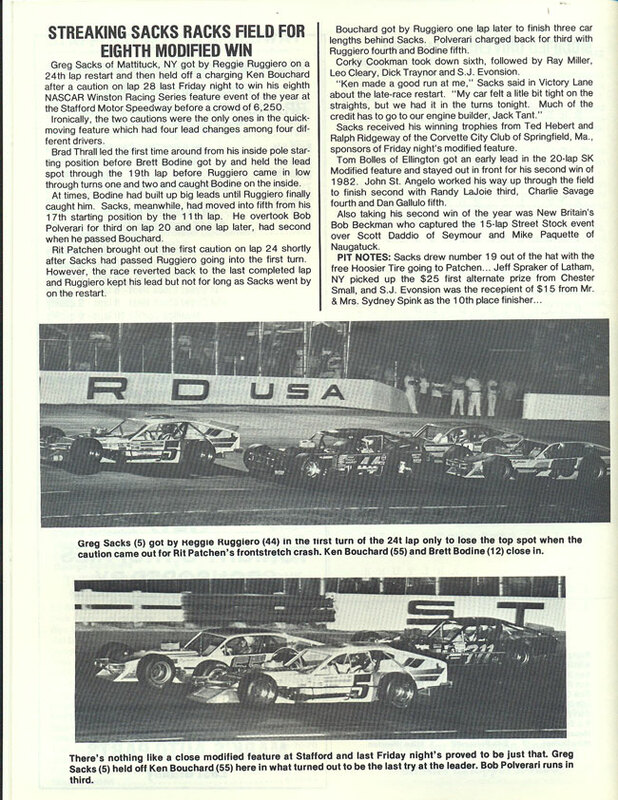 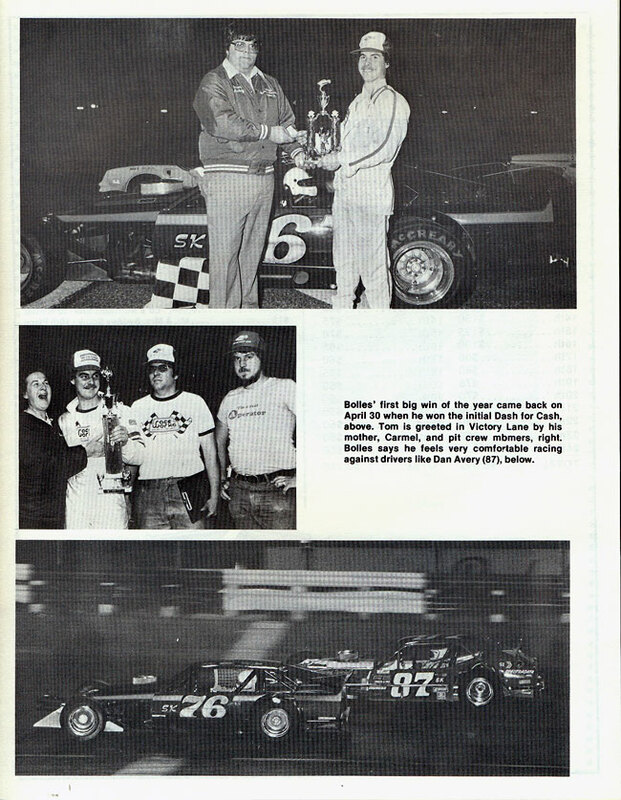 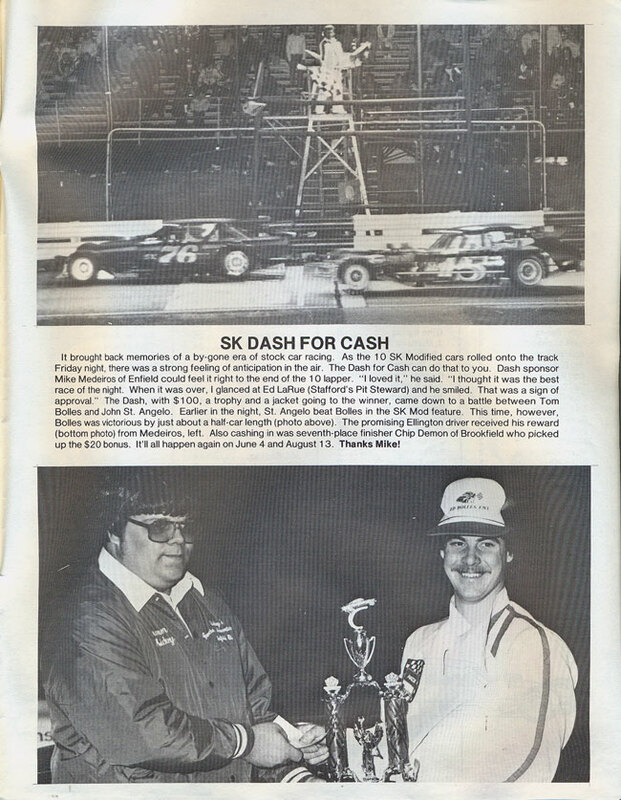 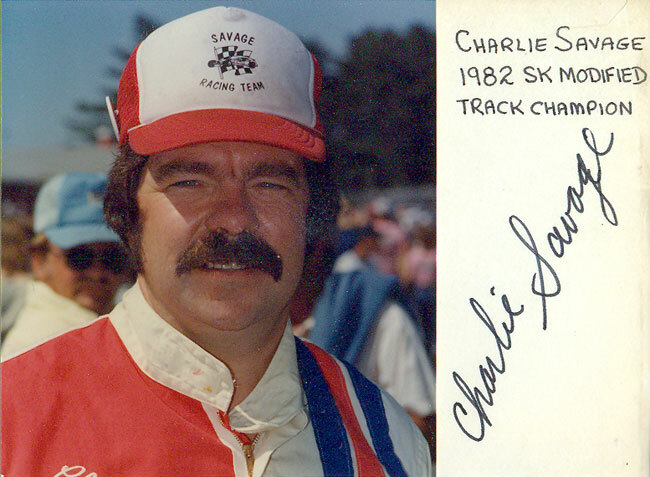 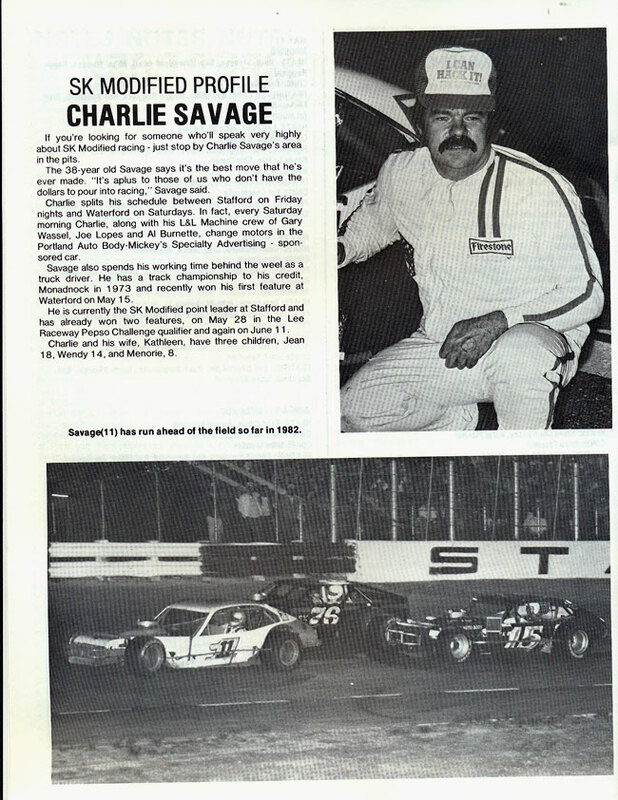 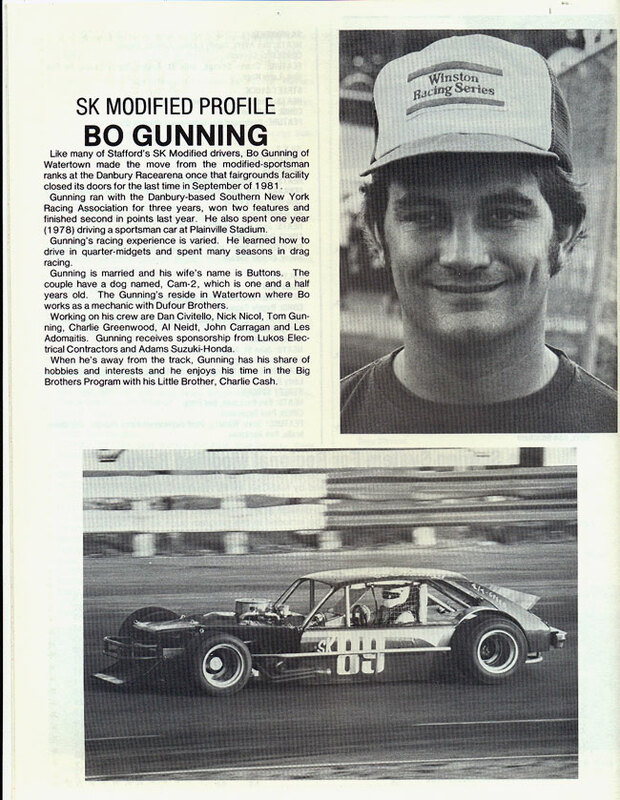 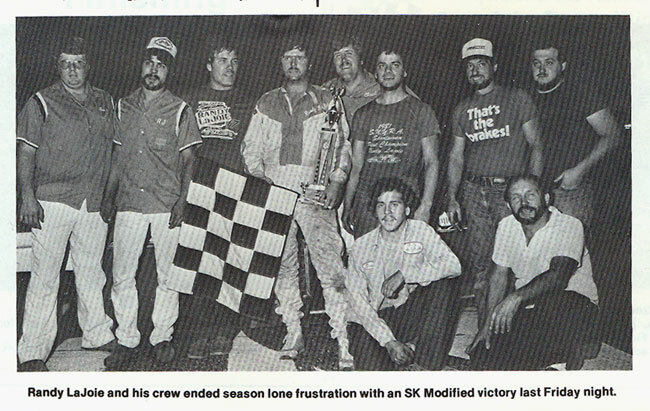 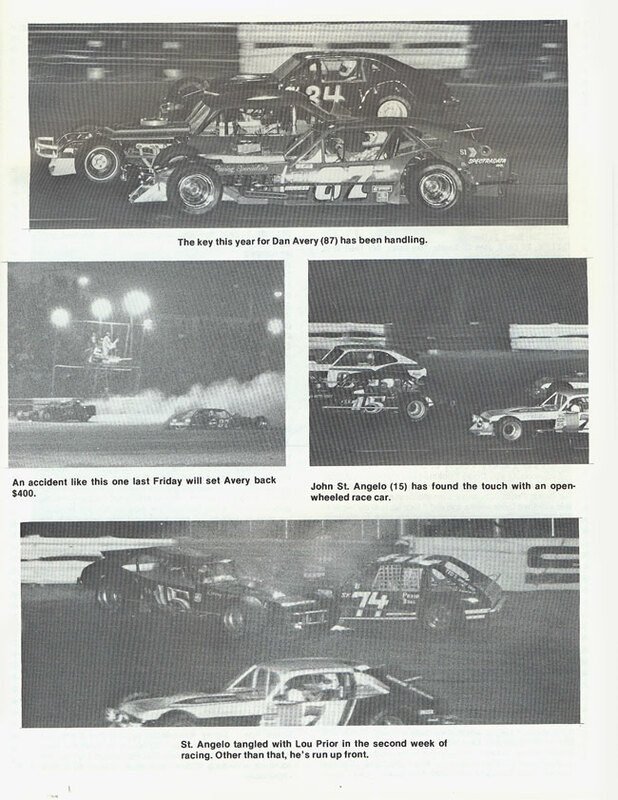 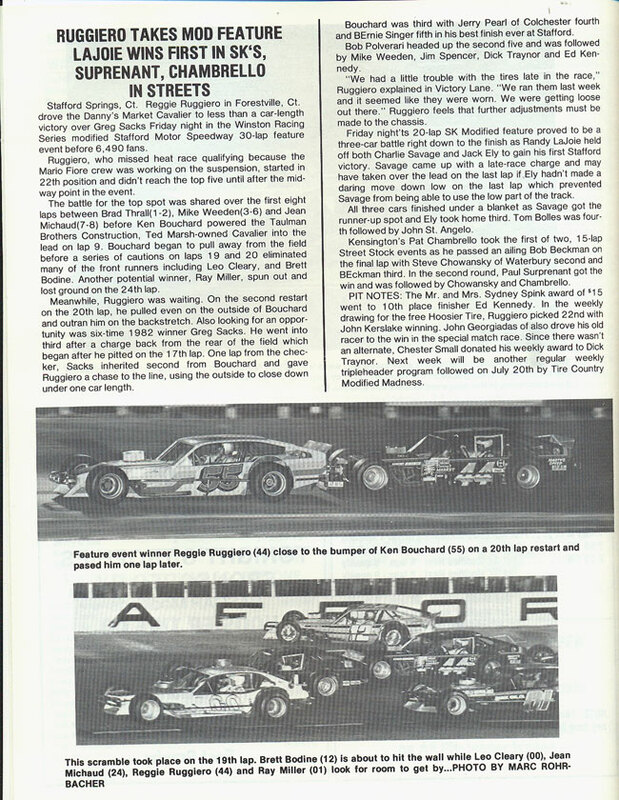 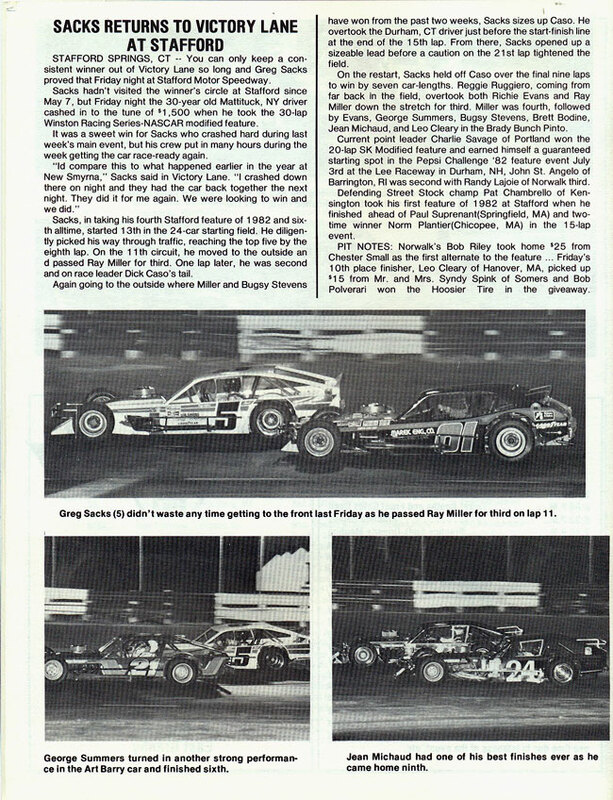 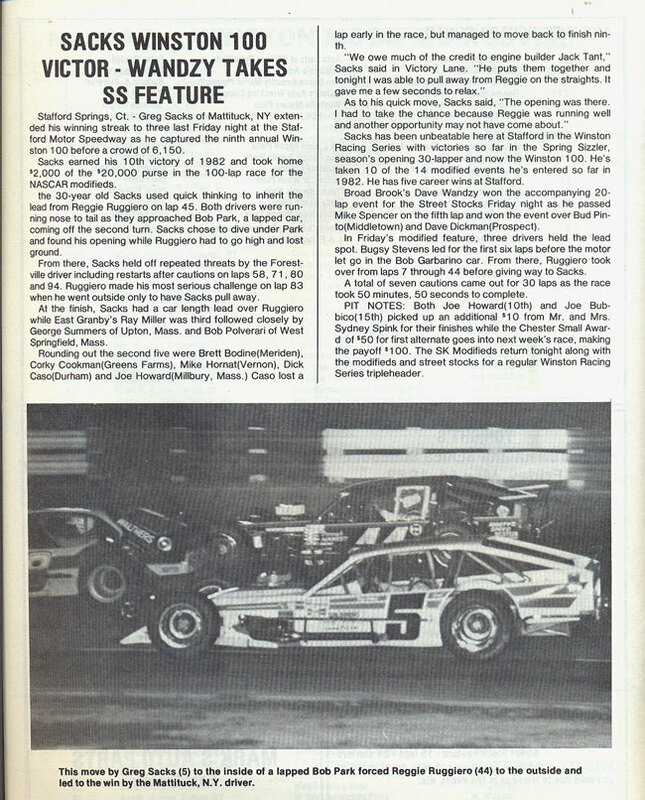 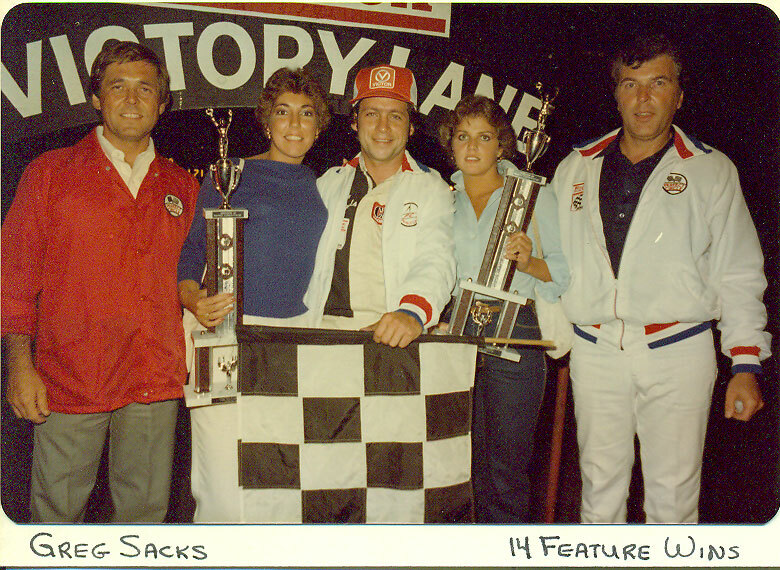 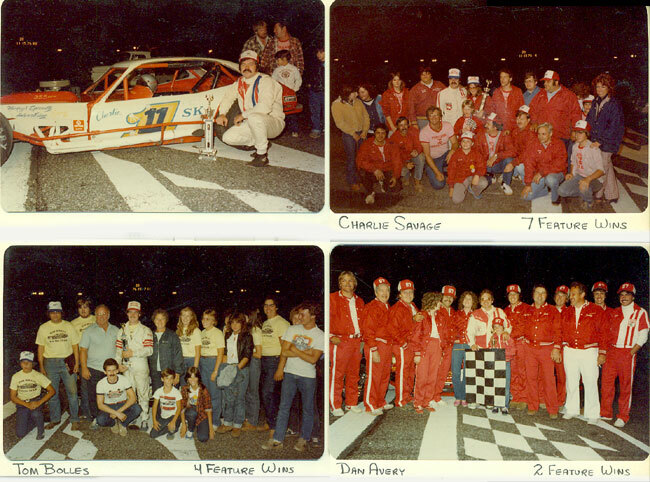 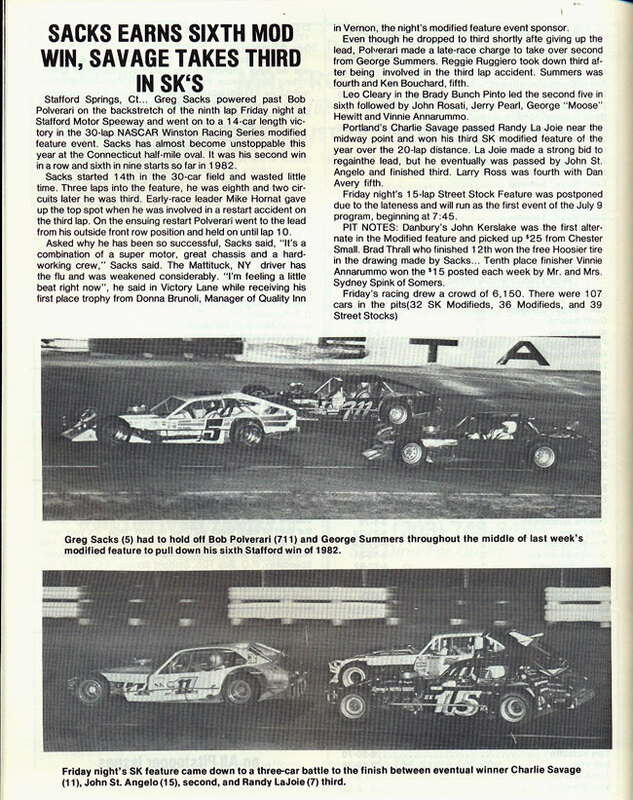 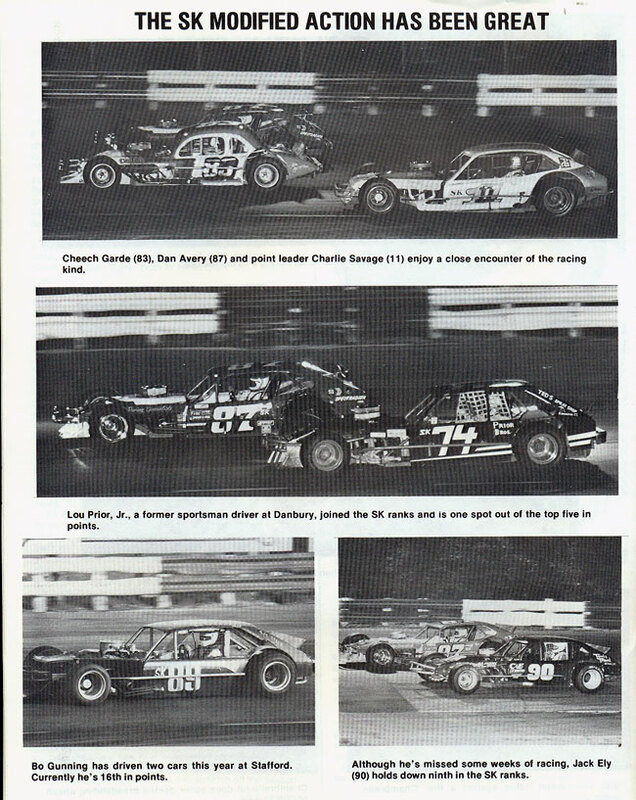 Therefore he waited a few years and when car counts began to become a real problem he introduced his new division, the “SK Modifieds®”.